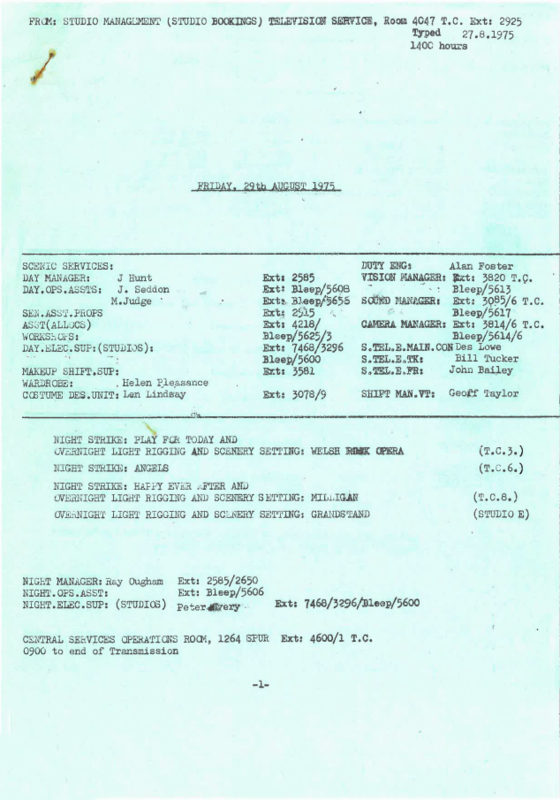 Ron Clark has just sent me these two documents which give a snapshot of daily life at TVC at the end of August 1975. Many names and programme titles for the older Oldboys. 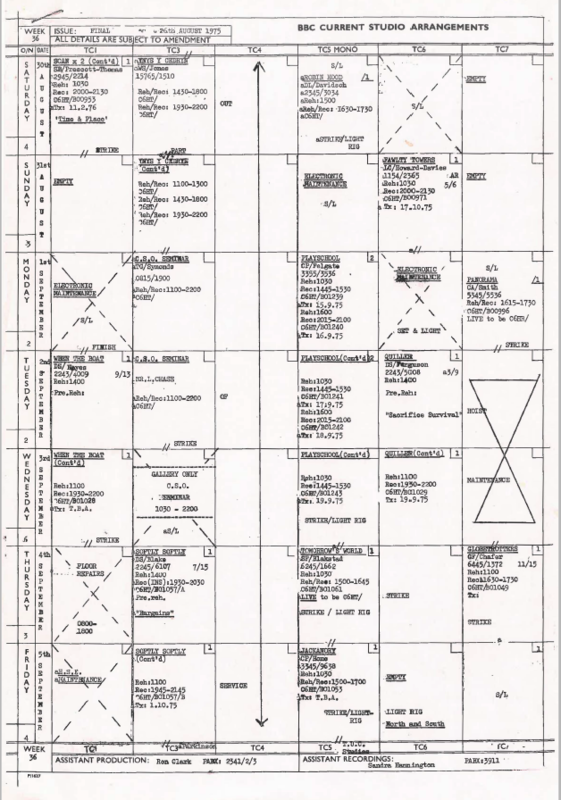 Firstly the Daily Duty Sheets for Friday 29th August 1975. 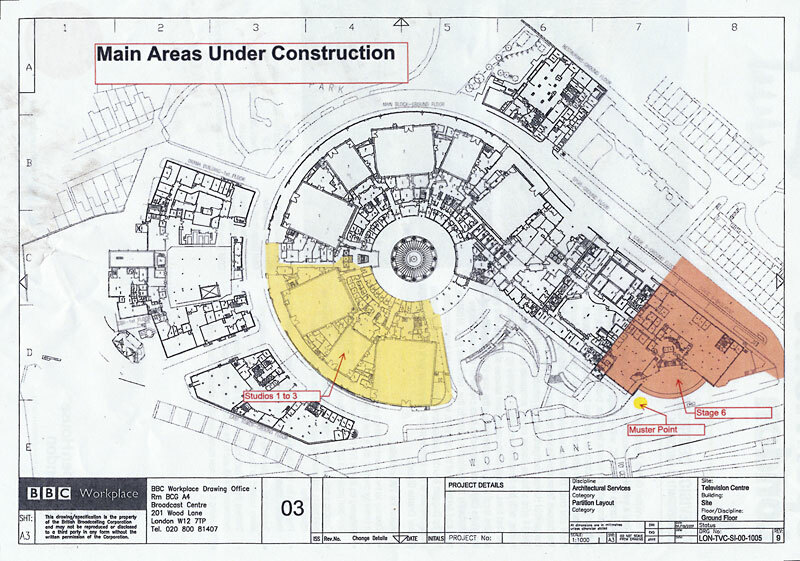 And the Studio Allocation Charts for Week 36. The pdfs that were here have been slowing things down a bit, and are now available in <Downloads>. Roger’s funeral will be at 12.00 noon on Friday November 27th. at Wyre Forest Crematorium (between Kidderminster and Stourport). This lunchtime Mrs CJ & I visited “The Cricketers” to book up for June 18th. Just as well we did as the pub is now “The Black Bison”, having been totally refitted since we last met there before Christmas. The food was very good but full menu details will be available nearer the time. Full details in <Future Events>. Many thanks to Andy Best (now living in the Orkneys) who sent this picture of these elusive machines when they were installed in Plymouth. 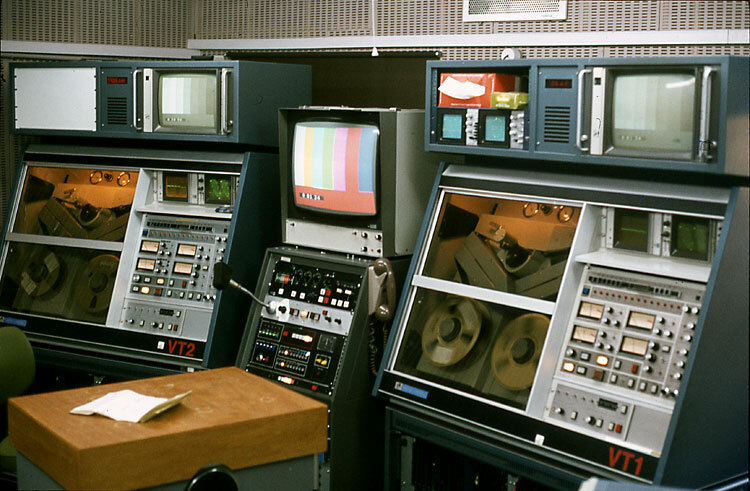 It was taken in 1981/2 – the machines were, Andy thinks, controlled by Editrace. I have just heard of the death, on Boxing Day of Ken Riddington, the former drama producer at the BBC. He had been ill for a number of years. Funeral is at West Norwood Crematorium at 1145 on Monday 12th January. His many Credits include: To Serve Them All My Days, Tenko and A Year In Provence. 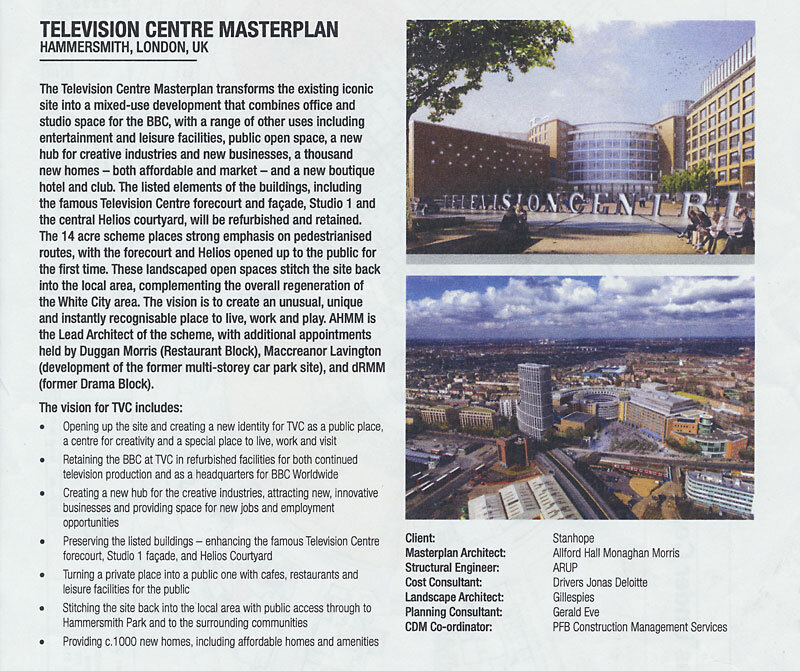 Here are some more details of progress on the Television Centre re-development. I just had to post this link from Google Streetview that will bring back many memories to all of you. 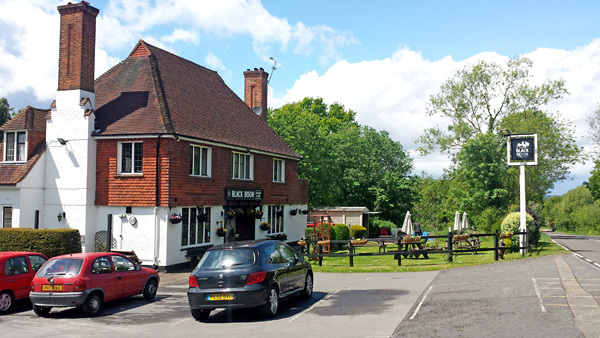 Just a brief note to remind everyone that the next Oldboys Lunch will be on Thursday, September 19th, at our new venue The Black Horse on Chorleywood Common. Full details at <Future Events>.